1. Go to the MY FORMS page. 2. 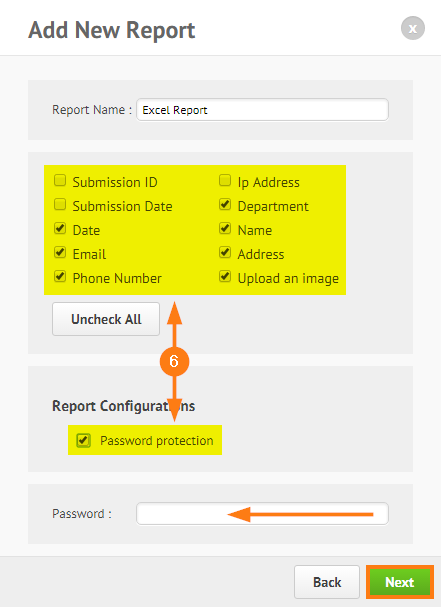 Select the form you want to generate a report from. 3. Click the REPORTS ▼ menu. 4. Then click ADD NEW REPORT. 5. 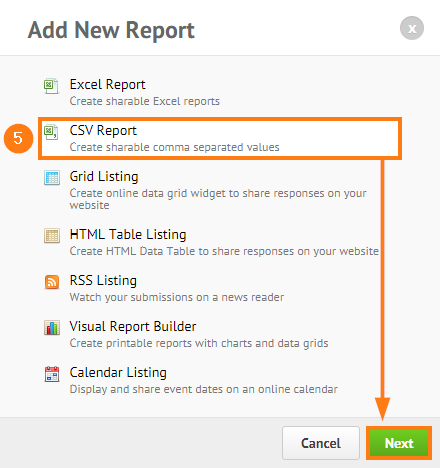 On the modal popup, choose CSV REPORT then click NEXT. 6. You can choose which FIELDS are included in the report. For added layer of security, you can enable PASSWORD PROTECTION. Click NEXT to proceed. 7. 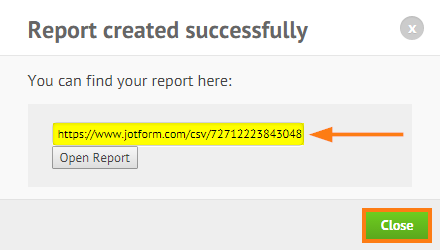 Copy the generated CSV REPORT URL then click CLOSE when you're done. Another one for the CSV Dropbox integration, this would really make life SOOOOO much easier!! Please ADD the 'Excel and CSV Report -> Dropbox' integration!!!!! 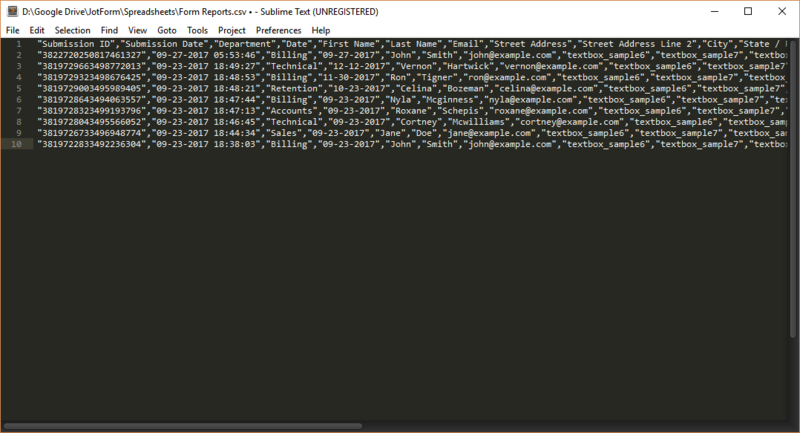 Is there any way to select a subset of submissions for the report? It would be nice to have a graphic showing what a sample report would look like. Also, what is the advantage of a CSV report vs. Excel?